Chicago restaurateur Keene Addington III has big aspirations for his new coastal inspired oysteria. 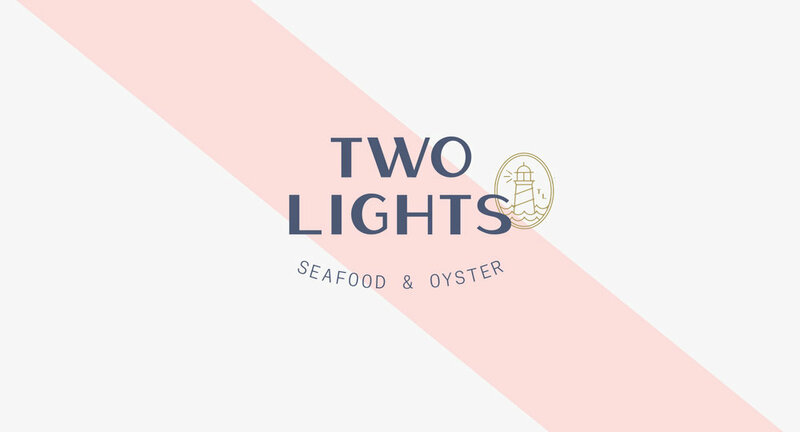 Two Lights is a sophisticated but casual bar and restaurant that balances energy and romance. Like all oyster related projects, we kicked-off the project in Maine. 36 hours along the coast. Soak it in. Seeing the raw elegance of the coastline set the standard for the coming weeks ahead. 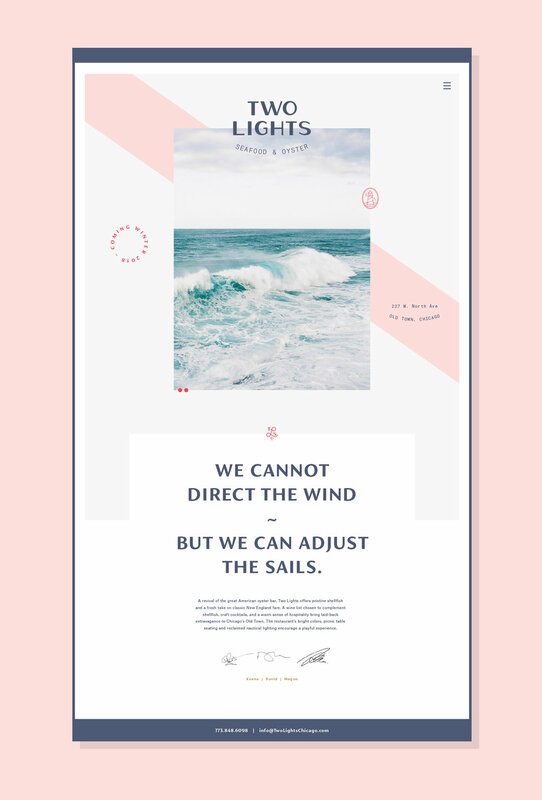 Completed at One Design Company.